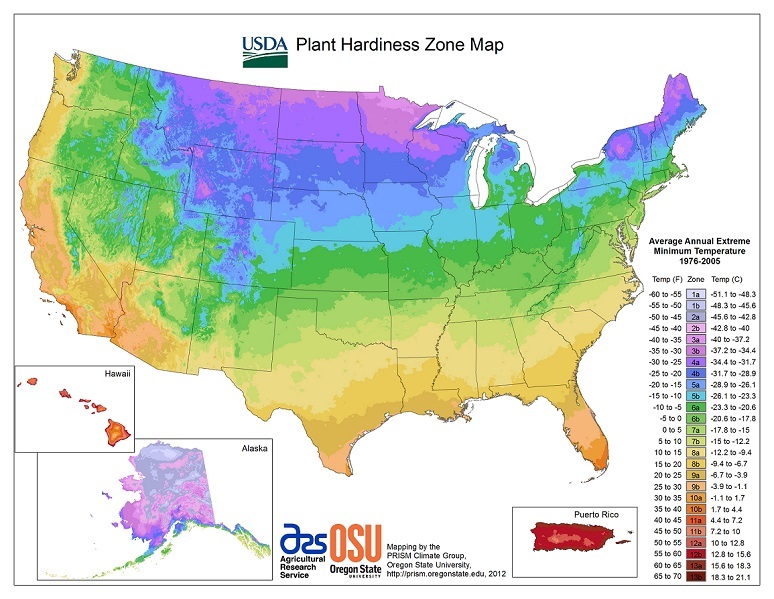 Do you know your USDA Hardiness Zone? Your hardiness (or growing) zone is determined by the average annual minimum temperature (basically how cold it reliably gets in the winter). It's one of the most useful ways to know what plants will survive your winter and grow in your area! 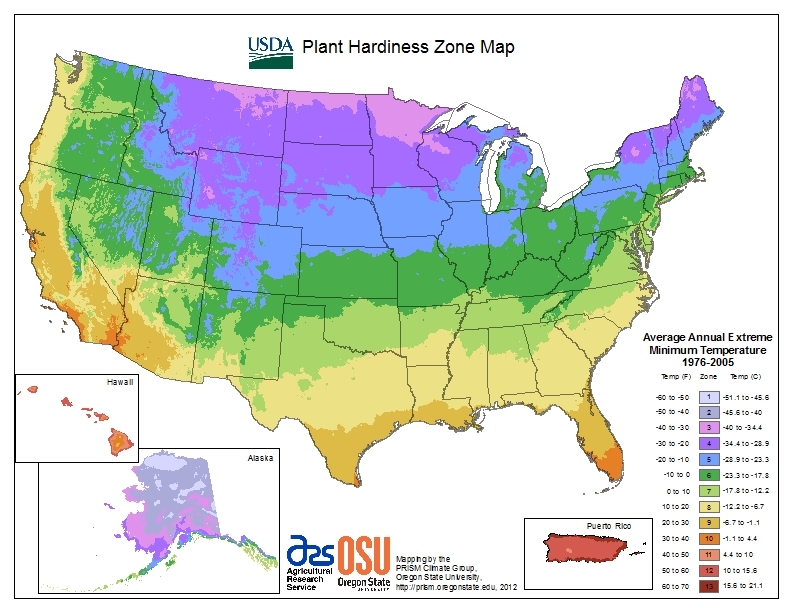 To find your zone, visit the USDA Plant Hardiness Zone Map (it's interactive!) or find your approximate area on our map below. Keep in mind that any plant's marginal zones (the end zones north and south of its range) can be more marginal in terms of performance; if you are attempting to grow a plant at the extreme of its range, please watch it carefully and give it a little extra TLC in extremes of temperature (hot or cold). This may entail mulching/covering in hard winters or extra shade or water in hot summers.